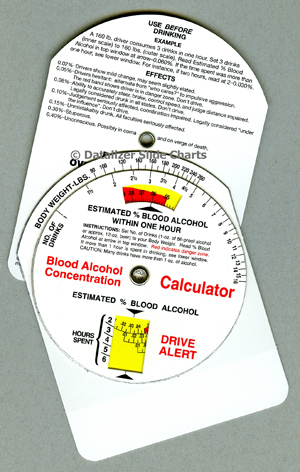 Pocket size calculator wheel for quick estimate of blood alcohol level. 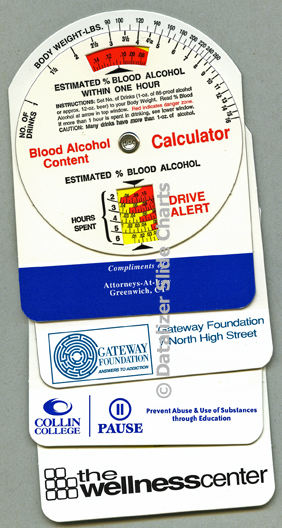 Set number of drinks at body weight, read the estimated alcohol level. 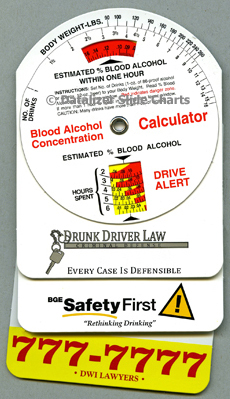 Requested by local, state and federal agencies for alcohol safety programs. 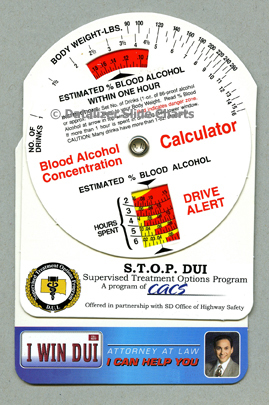 Popular with attorneys, college health centers and alcohol treatment programs. Calculator Size: 3.77" x 4.25". Easily fits into pocket or purse. Imprint Area Size: 3.25"w x .75" h. Front only.